I am working on a build from kit of the very tiny, very amazing LXmini speaker from Madisound, designed by Siegfried Linkwitz of Linkwitz Lab (the woofer unit behind it in the picture is not part of that kit or this build). The LXmini were featured at each of the last three big audio shows I attended, and they are truly in a class by themselves when it comes to sonic bang for the buck. I approached Madisound, the speaker kit and DIY audio supplier which has worked with Linkwitz to make a number of his designs available to the world, along with miniDSP and Siegfried Linkwitz, to see if they would be willing to sponsor a build, review, and evaluation sequence for the LXmini. They were all willing, and so the project is underway. Siegfried Linkwitz has been designing speakers for many years. Now retired, he was an engineer for Hewlett Packard, and is the Linkwitz behind the Linkwitz-Riley crossover configuration popular with audiophiles. The LXmini is about as innovative a speaker design as you will run across. 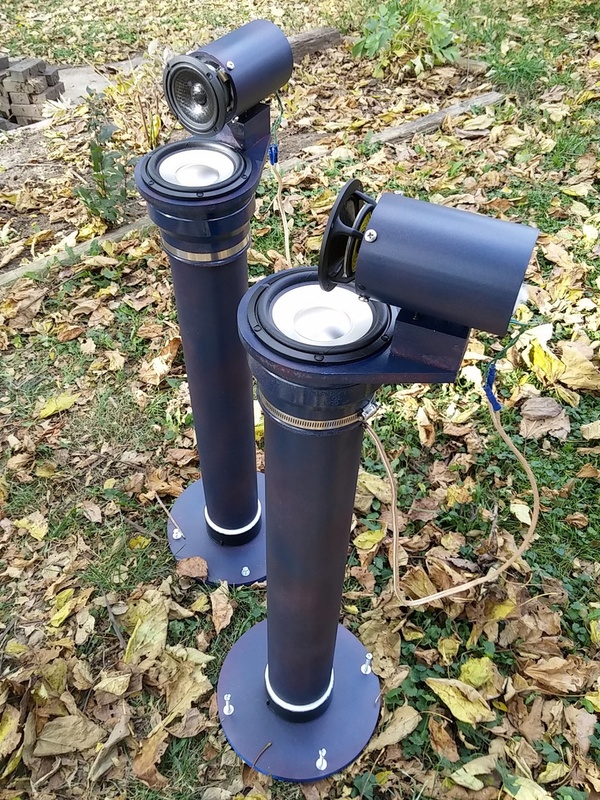 The two-way design involves an upward-firing woofer mounted in the top of a length of common PVC plumbing pipe, and just above it is a full-range driver covering mid- and high-frequencies in a dipole configuration. The combination of the arrangement of the drivers and the miniDSP 2x4 unit's response give a crossover at 700 Hz. The drivers are first-rate, carefully chosen drivers produced by SEAS. The first time that I sat down to hear a pair of LXmini at RMAF a year ago, the show where &ldquo;expensive,&rdquo; &ldquo;exotic,&rdquo; &ldquo;outrageous,&rdquo; and &ldquo;amazing&rdquo; are descriptors that come to mind for much of what you see and hear, my thought was, &ldquo;This will be interesting.&rdquo; I was pretty much blown away by the reference-quality sound. The focus is on quality - the LXmini will not play super loud, but what they do, they do very, very well. I have been thinking about the possibility of building a pair ever since then. Kit suppliers are, generally speaking, not big fans of reviews. They just do not know what to expect when they send out a kit for some unknown person to put together, what kind of problems they might run cross, mishaps that might get blamed on the design... too many unpredictables. I gave Adam at Madisound my assurances that he would be in the loop for the resolution of any and all issues and that I was experienced at building electronics and would have no problems getting the best sound from the speakers. Madisound - The complete kit, including wood parts but not the plumbing supplies, is available from Madisound. Madisound can supply the miniDSP 2x4 unit, in which case it comes pre-programmed. An optional wood parts kit is available. Linkwitz Lab - The build instructions must be purchased separately from Siegfried Linkwitz of Linkwitz Lab. They include detailed instructions for fabricating the wood parts if you have woodworking skills and tools and choose to make them yourself. miniDSP - The kit can be implemented with either the 2x4 or the 4x10 HD - with digital input and the option of 96 kHz sample rate - unit from miniDSP. Goto the Final Bill Of Materials in Post #24. I added two JBL ES150P Subwoofers to my LXmini setup. Goto the JBL ES150P Powered Subwoofer Review. The Madisound box, the miniDSP box, and the instructions PDF file, on a USB flash drive, emailed to me from Linkwitz Lab. Here are the two 4-inch ID "Schedule 40" pieces of PVC pipe from the hardware store, each cut to 31" length. There was a more porous type of pipe construction also available, lighter weight, which could not handle water pressure. Tapping on it sounded more resonant, so I went with the more solid, heavier pipe, which only cost slightly more. The gentleman only charged me for 6 ft of pipe (I got 2" free!). I forgot that I needed the two lengths of 3-inch ID pipe for the smaller drivers, so went back to get two 5-inch lengths of that later. Both are "Schedule 40" - anyone know what that means? This picture shows what all was in the Madisound box. Do not dispose of the Acousti-Stuff damping material in the bottom of the box. It might look like padding for shipping, or quilt batting, but it serves a much more important purpose. The miniDSP 2x4 unit came separately from miniDSP for this build. If supplied by Madisound, it comes pre-programmed. The Clay Couplers, these came from Amazon. The pre-cut base plate from Madisound. If you are not an expert wood worker with all the tools, I suggest ordering the wood parts kit. The wood piece that unites top and base of the unit. Again, very glad I asked for the wood parts kit. Top-quality CNC work throughout. A bag of wood spacers & misc. Rubber feet were also included for the bottom of the base plates, but I have a different solution, because my basement floors are not quite level. I am also working on an instructional build video. It will contain a lot more detail than this thread. 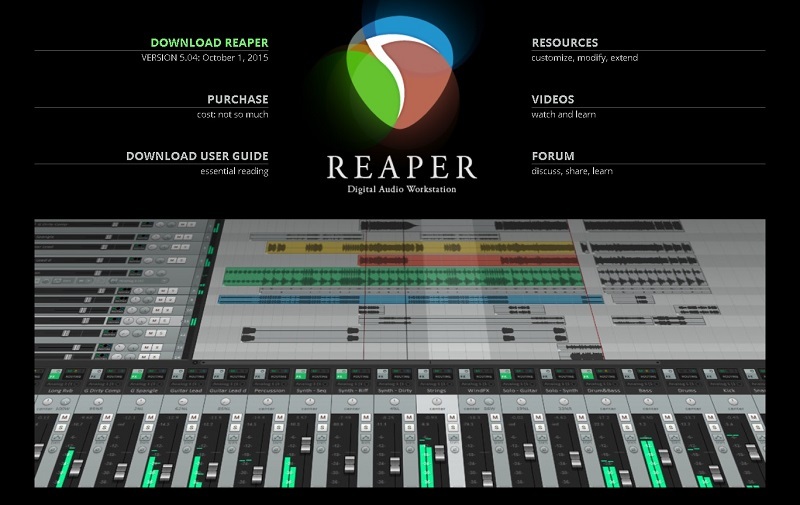 Plus, that gives me a chance to work with the new release of Reaper, which has extensive video editing tools included. Schedule 40, it has to do with the thickness of the pipe's wall. Thicker is better, I did build a frame out of thinner stuff for my boats duck blind. Worked fine for that, but I would never trust it for actual plumbing. Schedule 80 is thicker than 40. Last edited by Tonto; 10-29-15 at 07:00 PM. Thanks for the explanation, Tonto. The PVC pipes are lightly sanded for and smooth paint adherence, then primed just to cover the black print, then the primed areas are re-sanded. Hole marking and drilling took about 20 minutes. The PDF instruction file contains drawings with 1/8-inch grid so it is easy to figure out precise hole spacing. With the help of guide bolts and "borrowed" pre-cut pads to soon be glued onto the smaller driver magnet assembly, the two spacer blocks and the driver mounting plate (C1 + C2, a single piece of wood in the Madisound kit) are glued together, then can be primed and painted. Banana terminals are assembled onto the 4-inch pipe cap which will mount onto the base of the unit. A small screwdriver (you can see the red tip of its handle) is handy to help align each terminal as it is tightened down. Spade terminals are then tightened down with a second nut. I will solder directly to these terminals on the inside. I do not want to chance a connection pulling loose down inside the bottom of the unit. The base will be elevated enough with my leveling strategy to allow for locking banana connections on the bottom of each LXmini. Pre-assembly check of clay coupler, driver mounting plate, spacers, and driver. The three little spacer blocks will hold the small driver while it is clamped into place. It is mounted by having four machine screws clamp against the magnet assembly, or actually against the four supplied thin wood pads that will be glued to the magnet assembly of that driver. I was just reading a thread on the LXmini support forum. A couple of users are suggesting tightened bass performance by using heavier base material or adding increased weight to the base. I have a hunch that could be a good thing to try. Any thoughts? Hey Wayne, nice build thread. I know these must sound sweet for you to garner the interest to build a pair. Looks like you are doing a fine job. As far as extra mass for the base plate...it looks like a wooden plate. Is it on the flimsey side? Is it a sealed design? If so I could see some advantage to beefing it up. The cylinder design is inherantly the strongest, so maybe they are seeing a resonant decrease from the beefed up plate. Maybe? Can you add the 3 links we would use to order all the parts? Got a bunch of painting done today, but not quite finished. Thought I had a pretty good grasp on such matters... As it turns out, not so much. All straightened out now, however, thanks to the kind, patient personnel at Q P Ace Hardware at 3800 Old Cheney Rd, Suite B, Lincoln NE. They are THE BEST! Tomorrow, quickly finish painting and complete assembly. I will try to have all the wiring done tonight so it goes together fast. I have been editing the Build Video as I add pieces to it, so once the LXmini are up and running, the video will follow shortly.